Are you driven by providing an exceptional customer experience? Our Partnership Management team are responsible for working with our key Motorsport and Horse racing sponsors throughout the year. With a broad range of interesting and exciting clients to support, they plan and deliver all commercial aspects of our sponsors' assets both on and off event. 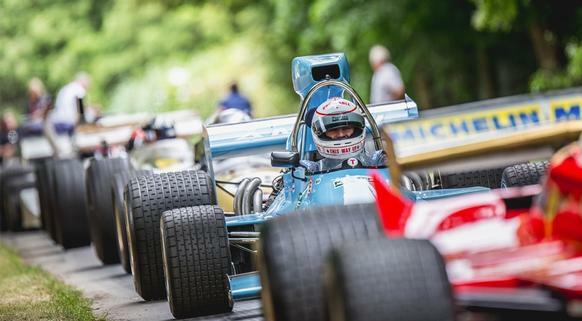 As Account Manager, picture yourself as a key contact for our partners, helping to deliver partners sponsorship rights at Goodwood's headline events; Festival of Speed, Qatar Goodwood Festival and Goodwood Revival. You'll have the ability and experience to form sound relationships with major account holders, a strong commercial understanding and the ability to deliver an exceptional customer experience. We offer a superb range of benefits including gym membership and discounts on products. This is a fixed term position for up to 6 months with a potential start in March 2019. If this sounds like your perfect job, we'd love to hear from you. Please click on the blue button to apply.